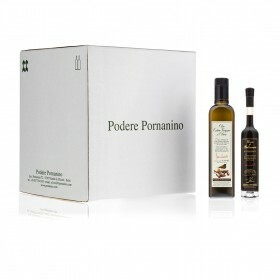 Located in the heart of the Chianti Classico area in Tuscany, the Pornanino Olive Oil estate is a family-run operation. As totally committed and enthusiastic producers, the Lombardi family takes great pride in the quality of their extra virgin olive oil. We care for our olive trees ourselves, hand harvest the olives and cold press them within hours in our own press, then bottle the extra virgin olive oil and ship it directly to a selected clientele of gourmet friends around the world.